I am trying to get a more uniform tessellation generated but I am stuck. I’m missing something when it comes to controlling the tissue addon with weight paints. What is the sequence of operations that need to be done in order to control how the tissue addon tessellates geometry based on weight paints? For example in the attached image the tessellated geometry gets compressed around the inner surfaces of the curved geometry. I am unable to find the way to adjust this so that the tessellated geometry in those regions does not get “squashed” and distorted but maintains a more constant form. In other words the amount of geometries that is generated in those regions needs to be reduced. This is done by weight painting, right? The tissue tools has a “weight from” options. I think the one I need to use is the curvature one. It was easy enough to generate that curvature weight paint (attached image), but I don’t know how to use that data to control the tessellation. first of all, Tissue for Blender 2.80 is much more evoluted and the Tessellation have much more options. Regarding your specific question, the Vertex Weight can be used for morphing a component along the surface, not for reducing the number of components in that area. What you can do is to change the Z scale acconrding to the face size, using proportional Z. 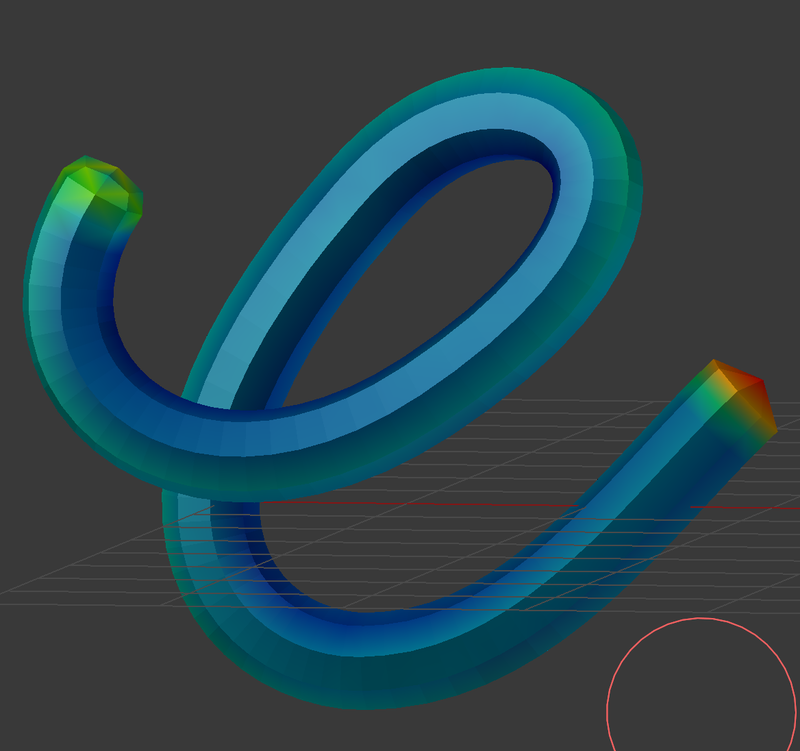 If you want to reduce the number of elements you should work directly on the topology of your “tube”. Before I edit the topology of the “tube” I would like to understand the workflow on how can I use the weight paint data to morph the component along the surface. Is there somewhere where I can find a step by step of this?